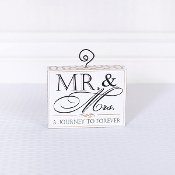 Lost Socks Seeking Soul Mates Photo Clipboard Hang this bold black and white plaque on your wall. Use it for displaying photos of your soul mates. 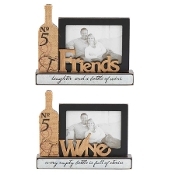 Friends, family and lover deserve to be cherished, make sure you display these life-long friends'... These unique products can range from the traditional home decor, to religious, and seasonal decor that will give your home that one-of-a-kind feel. 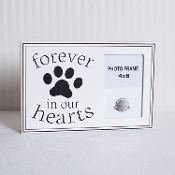 Memorial Collection Hinged Photo Frame W/ Engravable Plate A beautiful photo frame from Giftcraft's memorial collection. Hinged with a remembrance sentiment that reads: "Though I am gone, grieve not for me with tears, think not of death with... Be My Baby MDF and Glass Photo Frame. Collection celebrates baby's arrival with soft pastel designs, and heartwarming and humorous sentiment messaging. Collection celebrates baby's arrival with soft pastel designs, and heartwarming and humorous sentiment messaging. 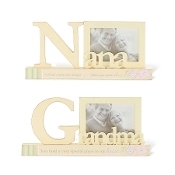 Memorial Collection Cream Colored Painted Resin Memorial Photo Frame with metal gold butterfly detailing and elegant gold typography sentiment. 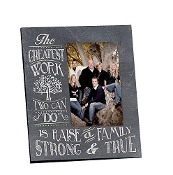 Life Love and Family Photo Frames A decorative and sentiment wall mounted photo frame. 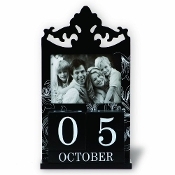 Each comes with a different sentiment to surround your most valuable and memorable photos. Keep the images alive in your home and in your memories. Size: 7¾”W x 19½”H x ¼”D Comes in three different styles There is nothing better than seeing your families faces. This perpetual calendar is the perfect way to keep track of your days and to keep your family in your thoughts before you leave to tackle the day. Perfect for hanging in the kitchen or foyer! A cute chalkboard picture frame with zinc and scalloped edges. Display any message you want in any room of your home. 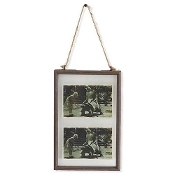 Wine Bottle Picture Frames, Choice of Two Designs These cute picture frames are theme with burlap wine bottles and bold black picture frames. Perfect for a tabletop adjacent to wherever you enjoy your wine. 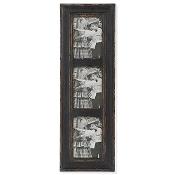 One reads "Friends: Laughter and a... K&K Interiors Black Weathered Wood Vertical Picture Frame. Frame features three 5x7 photo openings. The finish is weathered and vintage. A perfect fit for farmhouse, cottage, vintage and French decor. Product size is 27"H x 8.75"W.